I recently wrote about living an intentional life and what that meant to me and why I felt it was important. I received a lot of positive feedback from you all and many were interested in following along on this journey and learning to be more intentional in their day to day life. I tend to believe that planning is the key to intentionality. It’s hard to be intentional in the moment. Hard, but not impossible. If I plan my days, weeks, months and years, I’m much more likely to accomplish the goals I’ve envisioned for myself than if I just wander about day-to-day buried in the urgent and missing out on the important. That’s not to say that spontaneity is bad, but in the bigger picture, we need plans! But we’re looking at the big picture here, and planning out our entire lives (or even just a year!) can be incredibly overwhelming. So where do you start? First, let’s take a little visit to a metaphor. 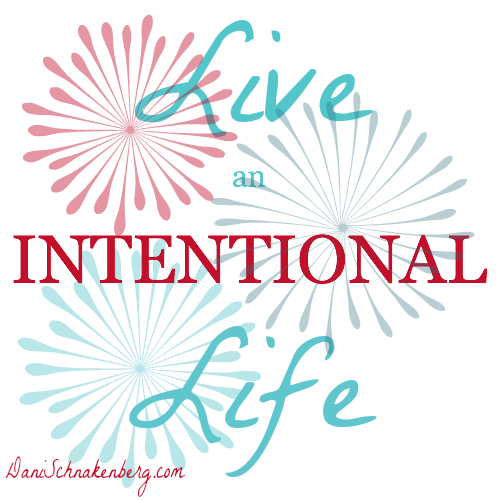 I want you to think of intentional living as a camera lens. Right now we’re zoomed way out. Things in this panorama are a little blurry, but we can see the whole thing. We can pick out the biggest shapes and main colors easily, but the finer details are a mystery and we have a lot to figure out before we can turn what we see into an awesome photograph. So look at your life through this blurry lens: what are the biggest shapes in your life? Don’t worry about the finer details right now, just pick out the biggest things. family, degree programs, finances, relationships, decluttering & organizing, physical health, mental/emotional health, spirtiuality, growing a business, hobbies. Brain dump these bigger pieces of your life. Just write them all out. Don’t over analyze them or try to refine them just yet. Don’t even think about what you want to accomplish with them just yet, simply look at what big picture items are important in your life. You really shouldn’t have more than ten of these. Next time we’ll refine them just a little bit more and I’ll share my list with you! What do you see through your big blurry camera lens? When you’re done here, move on to Step 2!